Scheduled Drive For 0.6 – 2 Yrs Exp Java Professional. Interested candidates can Register at the apply link to confirm presence for the interview. Venue Details & Contact Person Details will be sent on (Thursday 07 Feb 2019). Hexaware Technologies is hiring Java/J2EE professionals on 9th February 2019!! Chennai. Strong Java/J2EE knowledge with good exposure to web services and UI frameworks. Proficient in Spring and Web services. Exposure to Spring framework and work experience in Spring Core, AOP, MVC, ORM etc.,. H5, Sipcot IT Park Navallur Post, Chennai, Tamil Nadu 603103, India. The ability to work closely with developers, program managers, and other test teams, to ensure the quality of the owned components. Overall experience with 1+ years in ETL Testing with any industry ETL tool. Should be proficient in Manual testing fundamentals. Hands-on coding experience of Core Java, Spring, Hibernate, Concurrency, Transaction, Data Structures, Schemas, JMX, JUnit, Eclipse, Oracle, SQL (DML), XML. Experience of second line support, problem-solving and issue resolution. We need professionals with mandatory experience in Selenium and Java. Jasmine and Protractor experience is GOOD to have. The ideal candidate should have rich experience in Test Automation with Selenium Web driver and Java. Protractor and Jasmine framework will be an added advantage. Use of Version control tools like GIT. Framework understanding and development is a mandatory requirement. We need a professional with sound logic and reasoning skills. We require Test Engineers for our organization who can scrutinize their skills into the project. Jayam Nilayam Plot No 277 Anjaneya Nagar colony Moosapet Hyderabad Telangana T.S. 500018. 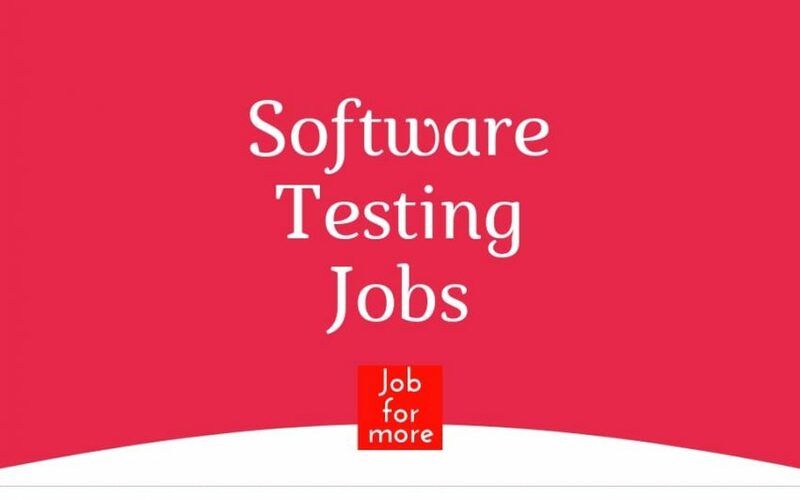 We have Immediate openings for the post of Software Testing profile for freshers and experienced candidates. We specialize in Applications, Network Services, IT Support, and Communications technologies at the moment, I am working towards Performance Test Engineer positions for one of our clients, to be based in Bangalore. Proficient with HP LoadRunner, Performance Center, J Meter & SOASTA. Hands-on Expertise on Web ( HTTP/HTML), Web services, Ajax tru client protocols of LoadRunner. Experience with diagnostics tools like Wily, Splunk, Perfmon, HP Diagnostics, HP Site scope, Dynatrace, New Relic is recommended. Cloud Performance testing experience is recommended. 4+ years in MVC 4/5, WCF services, Web API, JQuery, and Entity framework. Hands-on working experience in HTML, CSS, ASP.NET, MVC 4/5, ADO.NET, VB.NET, C#, WebAPI/WCF/Webservices, .NET Framework and SQL Server 2012/14/16 and Microservices. Should have strong programming skill with the ability to write optimized and reusable code. Demonstrated experience developing enterprise applications using Object Oriented Programming, .NET Framework, ASP.NET and SQL Server programming. We have an urgent opening for Bigdata Developer in Pune Location on Contract to Hire Basis with one of our reputed CMMI Level 5 company. The team is looking for a developer with a good attitude & ETL background with experience on SSIS/Informatica/DataStage. Hadoop & Big-Data Hands-on experience with technologies like HDFS, HIVE, SPARK-SCALA & OOZIE. Strong knowledge on SQL & advance PL-SQL is the must. Netezza hand on knowledge is preferable. Should have knowledge of UNIX Commands and Scripting. Should have knowledge of Data warehousing concept & implementation. Translate business requirements into ETL designs and mapping specification. Information Dynamics hiring for RPA Developer Ui Path. Looking for the immediate joiner. Should be ready to travel next week to the US. Based on Test results Technical interview schedule for all qualified candidates. Fresher’s (Batch-2018/2019) (Must have average 70% throughout Academic(Mandatory). Must be smart, inquisitive & pro-active. Plot no 63, Udhyog Vihar Phase 4, Gurgaon, Haryana. Willing to work on Support project @Hyderabad. Java, J2SEE, SOA, JSF , Web services , Angular JS. Good at RDBMS, SQL & Procedural SQL [ Preference Microsoft SQL]. Should have exposure to SQL Server 2005/2008/2008R2. Hi All , Tech Mahindra Bangalore has organized a Weekend Activity –on 9th Feb 19. We need utmost support from your end to make this activity successful.